Unfortunately, car accidents are far too common in the city of Atlanta. According to Allstate’s 2014 Best Driver Report, Atlanta is one of the most accident-prone cities in the United States. The relative likelihood (in comparison to the national average) that a driver will get into an accident in Atlanta is 39.4% every 7 years. That means nearly two out of every five Atlanta drivers will get into an accident sometime between 2015 and 2022. Despite the frequency of accidents in Georgia, many drivers are uninsured and even more drivers are underinsured. In fact, approximately one in ten drivers in Georgia is completely without car insurance, and the number of underinsured drivers is probably five times that amount. Even if you have full coverage, you could still be at risk because of someone else’s inadequate auto insurance — and that is where uninsured motorist (UM) auto coverage comes in. In the opinion of our law firm’s professionals, it is absolutely essential for you to have uninsured and underinsured auto coverage. What is Uninsured Motorist Auto Coverage? Uninsured motorist coverage is auto insurance that will protect you in case you are hit by a driver who has inadequate liability coverage. For example, if you are in a car accident and the medical bill for your injuries comes to $100,000, but the person who was at fault only has $50,000 liability coverage, then who will pay the remaining $50,000? In many cases, you would be stuck having to pay these bills. However, if you have $50,000 worth of uninsured motorist coverage (which also applied to underinsured motorists), your insurance company would handle the remaining $50,000. In the hypothetical situation outlined above, the traditional way we think about “full coverage” would not have helped you. When another driver is at fault, but does not have the means to pay, your insurance company does not compensate you in many cases. Liability coverage only comes into pay when you are at fault. Therefore, you are leaving yourself vulnerable if you do not have uninsured motorist coverage. You are essentially betting that the other driver is responsible enough to have adequate coverage. That is a lot of faith to have in a stranger! Uninsured motorist coverage is relatively cheap, so it is wise to invest in coverage to have peace of mind, rather than relying on someone else to do the right thing. 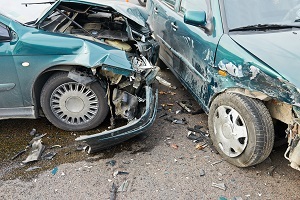 What if you’ve already been in an accident without uninsured motorist coverage? What do you do then? While it is ideal to have the proper coverage (i.e., traditional full coverage plus uninsured motorist coverage), life happens. In this case, you will need professional help to navigate the often confusing and frustrating world of insurance claims. If you’ve been in an accident, contact the law firm of Bruce A. Hagen, to get a team of experienced professionals working on your side.